What is it, and How Can it Be Resolved? As keto diets continue to grow in popularity, greater numbers of people are enjoying their many benefits. Unfortunately, in some cases, adverse effects may occur as well. For example, keto rash is a condition experienced by a minority of those who follow a ketogenic way of eating. 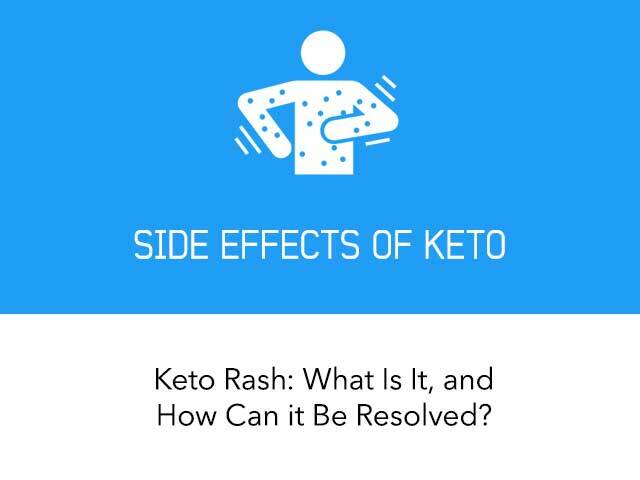 Read on to learn more about keto rash and strategies for resolving it. The technical name for keto rash is prurigo pigmentosa. It's also referred to as Nagashima's disease because it was first described in 1971 by Japanese dermatologist Masaji Nagashima (1). Although it is most commonly seen in Japanese, it's also been reported in Korean and Middle Eastern populations, among others (2, 3). Prurigo pigmentosa has been linked to several conditions, including H. pylori infection and autoimmune diseases like Sjogren's syndrome. In addition, it's been known to occur in people with uncontrolled diabetes and in those who fast or eat ketogenic diets (4, 5, 6). Keto rash has also been reported in at least one weight-loss surgery patient (7). Based on the research to date and many anecdotal reports, very low intake of carbs or calories — both of which cause ketosis — can trigger keto rash in susceptible individuals. Indeed, researchers have known of a connection between ketosis and prurigo pigmentosa since the 1990s (8). However, although ketogenic diets have been used in pediatric and adult epilepsy for decades, fasting and strict keto regimens have only recently achieved popularity among the general public for weight loss, diabetes, and other conditions. Because of this, keto rash hasn't received much attention until now. Keto rash is an itchy, red rash that typically occurs on the torso, back, neck, and underarms. The rash is often symmetrical and usually appears within a few days or weeks of entering ketosis. Its appearance has been likened to contact dermatitis, eczema, and impetigo. However, keto rash has a unique netlike pattern that is present from the initial stage through its resolution. The rash makes its appearance subtly, with mildly itchy raised bumps that are light pink in color (picture A). After a few days, the bumps become papules, or clusters of small, hard red lesions, some of which may be filled with liquid or pus. Itching usually intensifies during this stage, although this seems to vary from person to person (picture B). After another few days, the lesions become brown and crusty as the rash resolves. The affected skin is left with a light-brown net-like pattern known as reticular post-inflammatory hyperpigmentation, which may remain long after the rash has healed (picture C). Photo source (picture A): Hawaii J Med Public Health. Treatment of prurigo pigmentosa with diet modification: A medical case study. Photo source (pictures B and C): Dermatopathology. Prurigo pigmentosa (Nagashima’s disease) — variations on a theme. Although keto rash is usually confined to the front and back trunk, in some cases it spreads to the upper thighs. Very rarely, it may affect the forehead or extremities. Although it can be unsightly and uncomfortable, keto rash itself isn't dangerous. Why Does Being in Ketosis Cause a Rash? At this time, it isn't known why some people develop keto rash while others who eat nearly identical diets and maintain similar levels of ketosis don't. Although it usually occurs during the keto-adaptation stage and often resolves relatively quickly, it can reportedly persist for several months or even years. Some researchers have speculated that in susceptible individuals, ketones may irritate blood vessels, causing an inflammatory response that manifests as an itchy rash (7). Other theories that have been discussed include diet-related gut microbiome changes that affect the immune system, skin irritation from acetone that is released in sweat, and an atypical response to low insulin levels that occur during ketogenic eating or fasting (7). How Common is Keto Rash? Because it hasn't been studied much, it's impossible to say how many people who follow ketogenic diets develop keto rash. However, “keto rash” is a heavily-searched term on the internet, and there are several stories about people who have experienced it, including a detailed personal account by blogger BJJ Caveman. Although it occurs more frequently in Asians, it's also been reported in many other ethnic groups. How Can I Get Rid of Keto Rash? 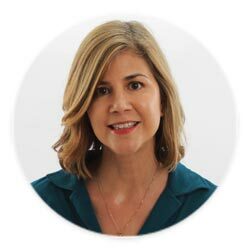 A brief online search will reveal many stories of people who cured their keto rash by increasing carb intake to the point that they weren't in ketosis. In one case, a 43-year-old woman developed keto rash about 3 weeks after restricting her diet to 20 grams of net carbs per day. The rash cleared up within a week, but it soon came back. Over the next few months, a pattern emerged where the rash would resolve, only to recur shortly thereafter. Although the woman tried to get rid of the rash by avoiding chemical irritants and potential food allergens like nuts, the rash didn't clear up for good until she increased her carb intake. On a higher-carb diet, she has remained rash-free for one year, as of the case study publication date, May of 2018 (5). In another, a 17-year-old boy who had been following a nearly carb-free diet developed keto rash and was treated with higher carb intake and antibiotic therapy for two months. His rash resolved and didn't reappear at any time during 15 months of follow up, during which he continued the higher-carb diet (4). Although the exact carb amounts used to treat the rash weren't reported in either case, the study authors made clear that it was significantly higher than ketogenic level. In all likelihood, their diets would no longer even be considered low carb. However, in most cases, increasing your carbs to about 50-90 grams of net carb per day should be sufficient to clear up the rash. Also, keep in mind that although keto rash does tend to recur, some people only experience it once. So if you want to reattempt keto in the future, it's possible that you may not develop keto rash. Interestingly, a recently published case study has shown that a more moderate low-carb intake may allow certain individuals to remain in mild ketosis while clearing up the rash. In this case, an 18-year-old man with epilepsy was prescribed a strict 2:1 keto diet (which provides twice as much fat as protein and carbs combined) that was initiated and supervised by a registered dietitian. Although this led to a dramatic improvement in his seizures, he developed keto rash within a few days of starting the diet. After the rash worsened, his diet prescription was gradually changed to a 0.75:1 keto diet by increasing net carb intake from 16 grams to 90 grams per day, increasing protein intake from 70 grams to 95 grams per day, and reducing fat intake from 173 grams to 146 grams per day. Within days, the rash resolved, and it had not returned for 9 months at the time of the study publication. Moreover, the man has remained nearly seizure free without medication and has maintained a state of mild ketosis on the moderate-low-carb diet (5). While this is very encouraging, it's important to note that some people do need to remain in deep ketosis in order to manage epilepsy and other neurological conditions. Additionally, for many, even mild ketosis is unlikely to occur on a diet of 90 grams of net carbs per day. Another option that might work is to continue eating a mildly ketogenic diet while avoiding fasting, which has been linked to keto rash in several people (6), including those who fast for Ramadan and other religious holidays (9). In addition to avoiding fasting, do not severely restrict your carb intake. If you're suffering from keto rash, consider aiming for about 30-45 grams of net carbs per day. This may or may not be successful, but it is worth trying if you don't want to raise your daily carb intake to the point where you're no longer in ketosis. Avoid getting overheated. Although it's impossible to stop sweating altogether, do your best to stay cool. Sweating exacerbates the rash, possibly because it releases more acetone through your pores. Wear lose-fitting clothing. As is true for many inflammatory skin conditions, friction can worsen keto rash. Avoid any clothing, jewelry, or other accessories that rub against your skin, especially during exercise. Manage stress. There's no question that stress affects many aspects of skin health, and people who've experienced keto rash often report that it intensifies during stressful situations. If you need to stay in deep ketosis for therapeutic purposes (brain cancer, epilepsy, or another neurological disorder), you may want to consider having your doctor prescribe a short course of antibiotics to treat your rash. Doxycycline and minocycline are the antibiotics that have been shown to be the most effective against keto rash (2, 4, 6). Although their purpose is to kill harmful bacteria, it's believed that certain types of antibiotics may help reduce inflammation and mediate the immune response which may trigger the rash (4). However, keep in mind that antibiotics will only clear up an existing rash and cannot prevent new ones from developing. What's more, antibiotics can adversely affect the composition of your gut flora and may lead to negative health effects, especially with frequent use. Ideally, antibiotics should only be used for serious infection when there is no other solution or treatment available. With few exceptions, increasing daily carb intake slightly is a much safer and healthier option, especially long term. Keto rash is a side effect experienced by a small minority of people who follow a keto way of eating. Unfortunately, in susceptible individuals, the only long-term solution is to raise carb intake in order to avoid deep ketosis. The precise number of carbs needed to prevent the rash likely varies from person to person but is typically outside of the ketogenic range. However, a low-carb diet still provides many of the same benefits that a keto diet does, including excellent blood sugar control, weight loss, freedom from food cravings, and better overall health. Thank you for posting this article. I have had an unexplained rash develop this year (third year on keto) and it has come and gone on its own. I increased my carbs a few months ago (lack of self control mainly haha) and the rash disappeared but I didn’t link the 2. I’m planning to go back to strict keto but will see if it triggers a rash. Thanks again. Really good info! I suffered from keto rash and even used antibiotics. It came back after I stopped taking them. The only thing that has worked with me is digestive enzyme supplement that contains ox bile. It took about a week of regular use (one pill with each meal) to lessen the effects. It still flares up when I neglect taking the supplement a few days in a row. I am miserable with the rash now. I am taking Super Enzymes with Ox Bile to help digest the fat as I have been a yo yo dieter all my life. I am also using a body scrub in the shower called Tea Tree Tingle. I saw where you mentioned upping your carbs, but I don't want to be out of Ketosis.is it better to do carbs with more fiber. I don't quite understand. I just am going crazy itching. I've only been on the Ox Bile for a few days now. I have this rash, and have for several weeks. For me it's mildly irritating and never seems to go past the first phase. If it gets worse I will up my carbs, but for not it looks worse than it feels. Every place that writes about it, says it has no real harmful effects other than the itchiness...or if the bumps get infected. Another possibility, one I had encountered when on other low Carb diets, is this, or other side effects of the diet may be caused by the body using the stored fat a a fuel source. Think about it, toxins and heavy metals are stored in the body fat and when these fat stores are used at a higher than normal rate, these toxins can't be processed fast enough by the Liver and they cause a reaction. I think you are on the right track here. I get it quicker when I fast than just Keto. I just wanted to say thank you for sharing this. I stopped following a keto diet because my rash was getting worse every time I was below 40 grams of carbs. It was on my back and torso and I was getting worried because I had no idea what it was. Now I am much relieved to know that it can happen and can easily be resolved. Keep up the good work! Inexperienced that a month or so ago, I couldn’t figure out what caused it or why it went away on its own, now I know! Thanks!